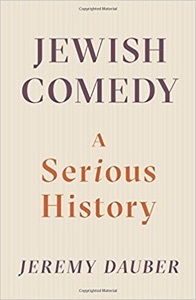 Through much of the twentieth century, American comedy — standup, skit, theatrical, cinematic or on television — was chiefly Jewish comedy. Jeremy Dauber surveys this scene and ties it to ancient writings and medieval tradition. A thorough and fascinating study.